Cycling coach with an experience providing thorough and skillful support to endurance athletes. Over 13 years of experience on roads and MTB tracks. A passionate endurance athlete working with a power meter over 8 years. Cycling coach working with athletes training for road cycling, MTB, ultra marathons and multi-day races. Providing services to customers by sport coaching, bike fitting and mental trainings. 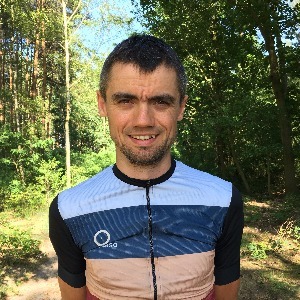 The winner of Polish Cup of Ultra Marathon Cycling; 1st place, Beautiful East – 500km in Eastern; 1st place, Beautiful West – 1001km in West; 1st place, Tour de Pomorze 700km in North West; 3rd place, The ring of a thousand lakes – 610km in North East; 10h 22min 57sec, Triathlon IRONMAN Hamburg, Germany; 1st place Korona Przytoku, Duathlon Solo, two-days race; 2 times winner Zielona Gora Ultramarathon Nowe Granice -103km, Duathlon Solo; 3rd place, Women Amateur Polish Road Race Championships Podgorzyn-Sosnowka; 3rd place, Hell of the Przytok. UCI Masters Polish Road Race Championships; UCI Masters Road World Championships, Slovenia; 9th place, UWCT Trento World Cup, Italy; 2nd place, UCI Masters Polish Road Race Championships; 2nd place, UCI Masters Polish MTB Marathon Championships; 2015 - 4th place, UCI Masters Polish Road Race Championships; 1st place, Amateur Polish Road Race Chamionships Podgorzyn-Sosnowka; 2010-2018 - 7 times winner, Hell of Przytok. Success. Coach Jaroslaw Michalowski has been notified of your message.